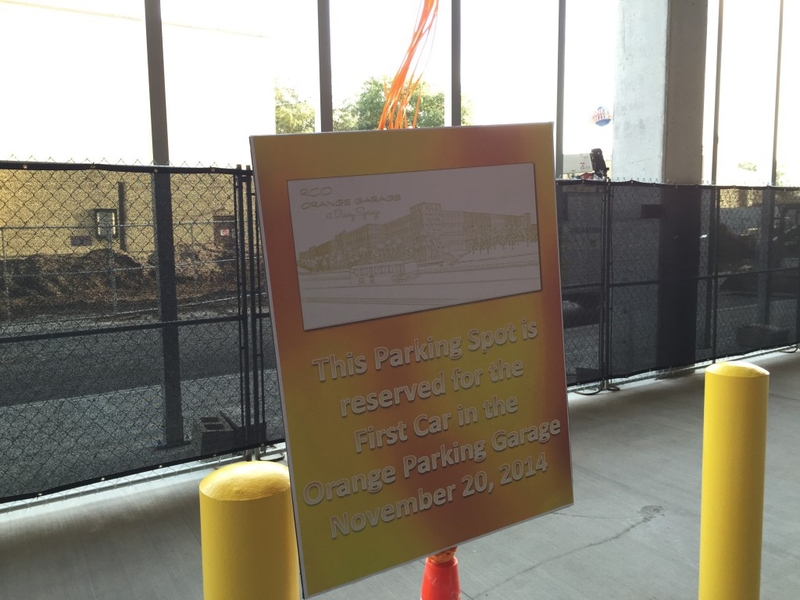 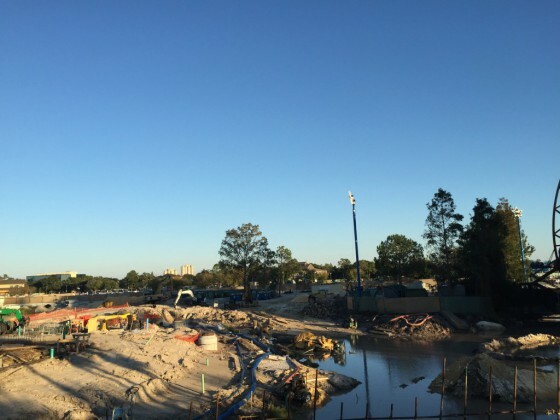 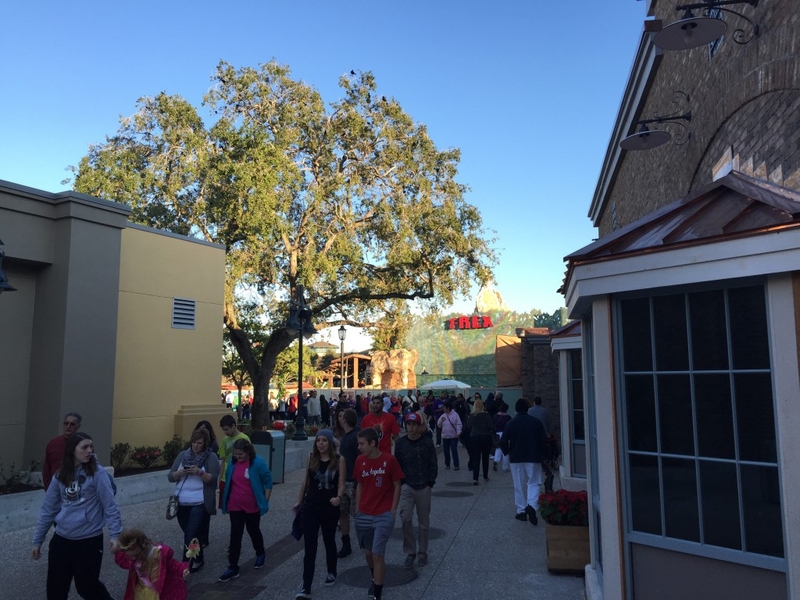 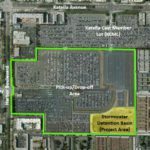 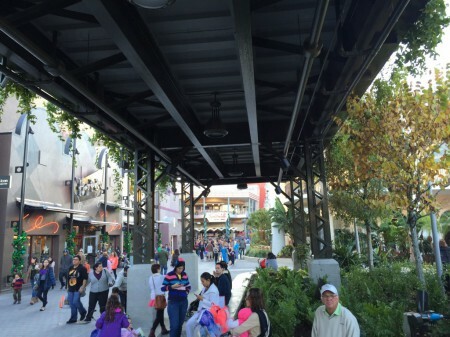 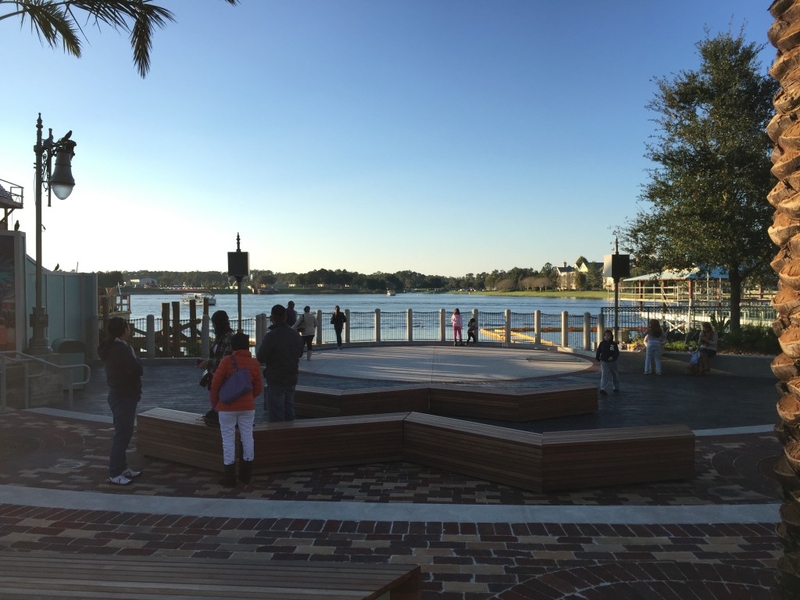 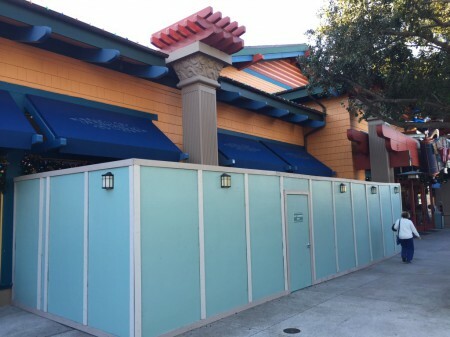 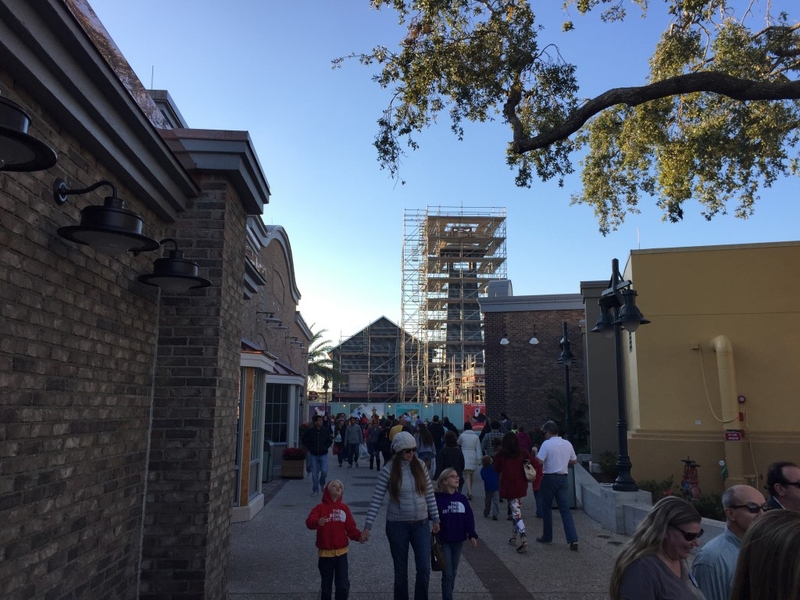 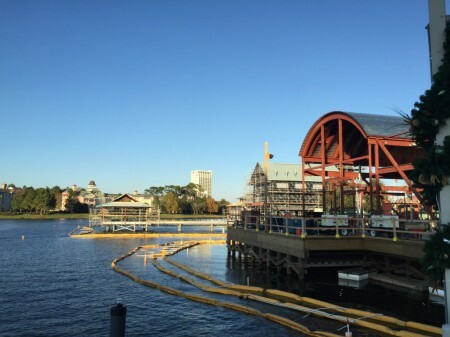 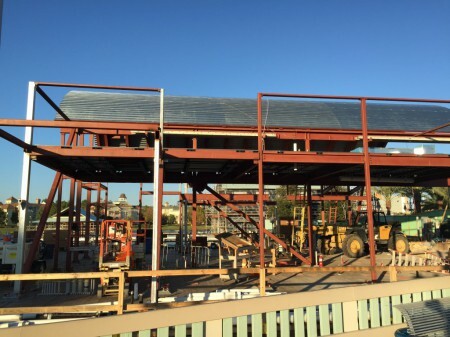 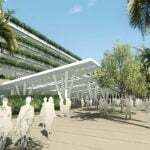 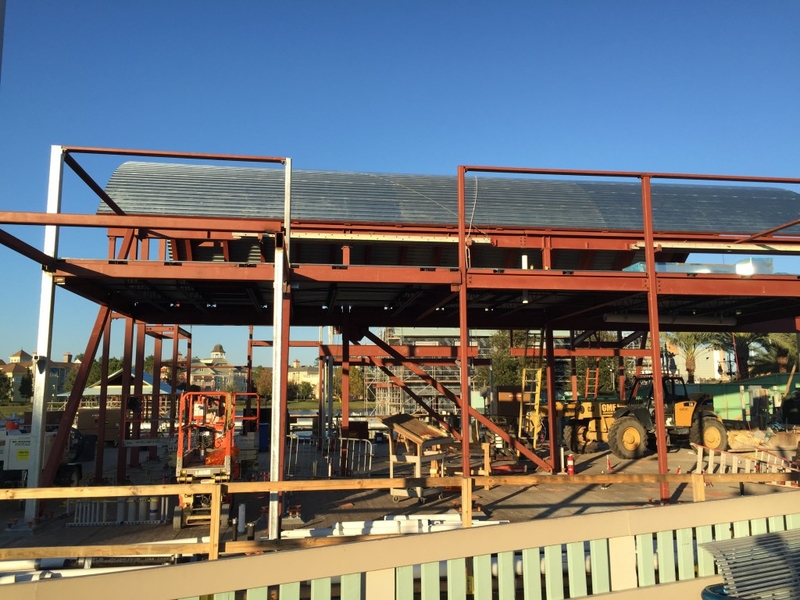 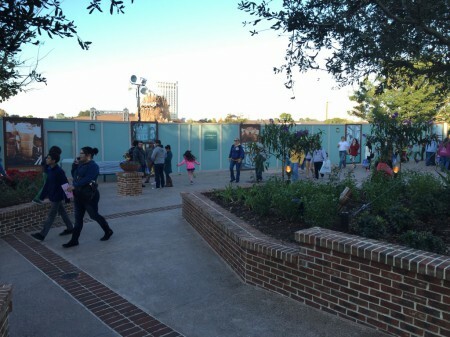 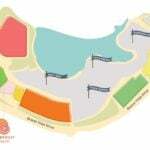 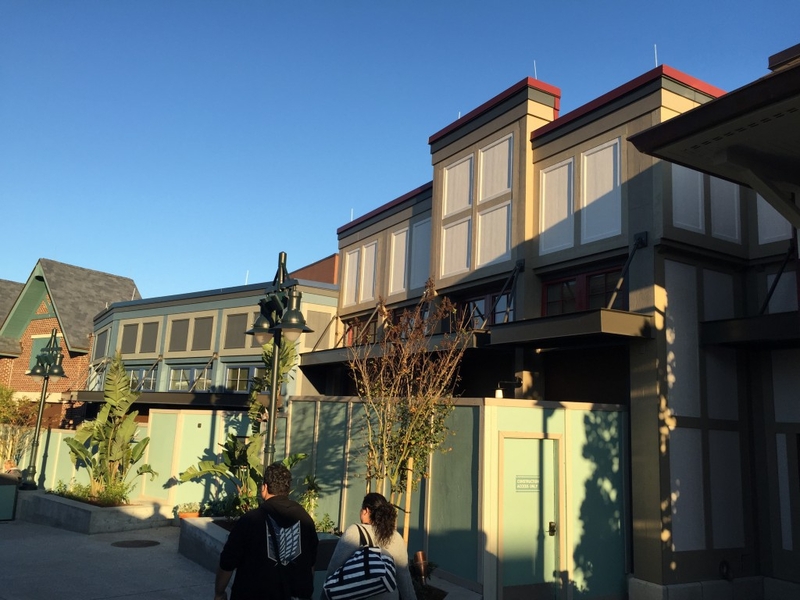 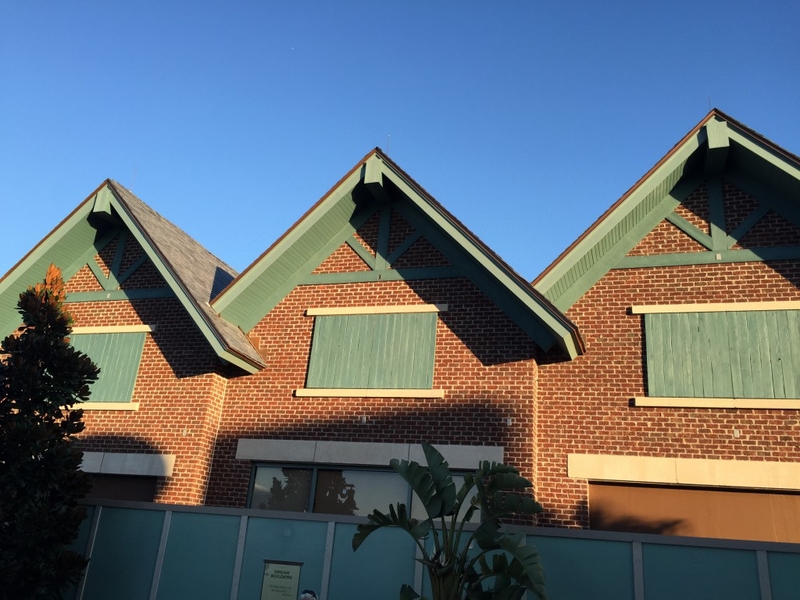 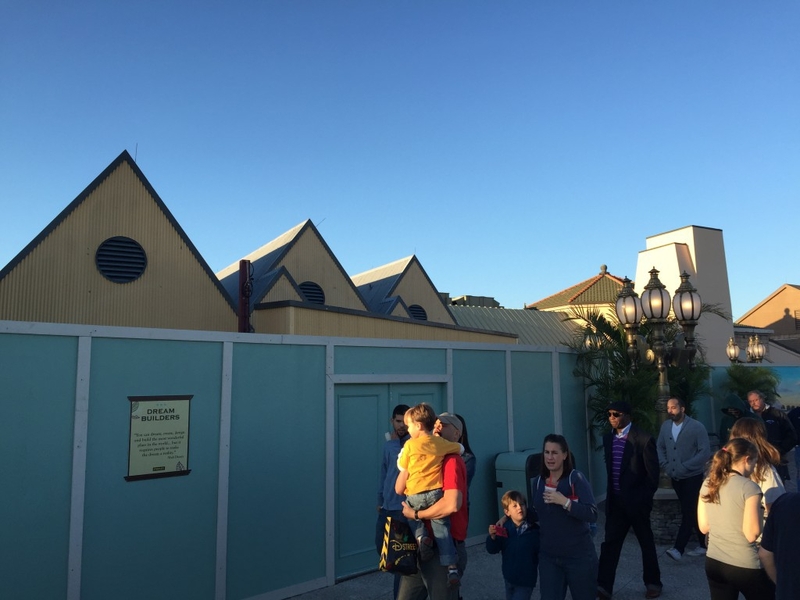 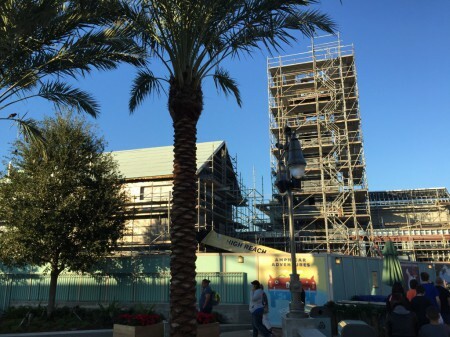 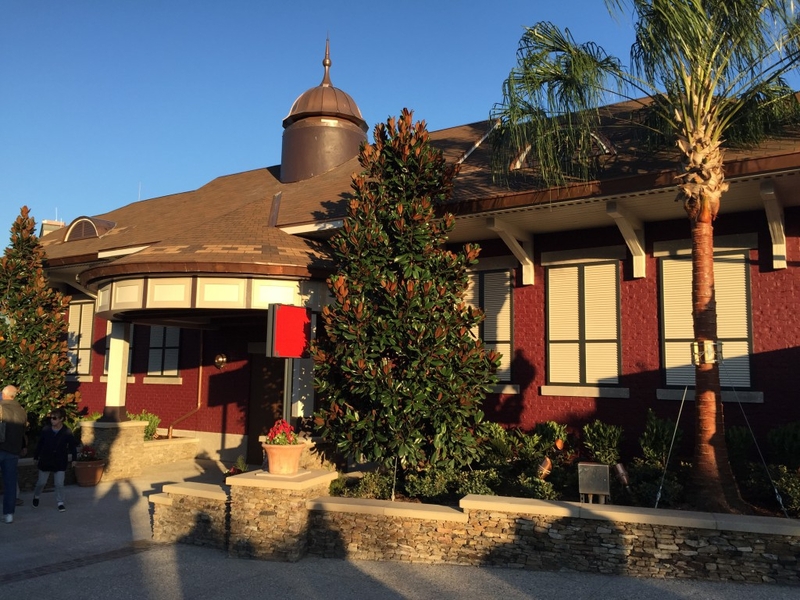 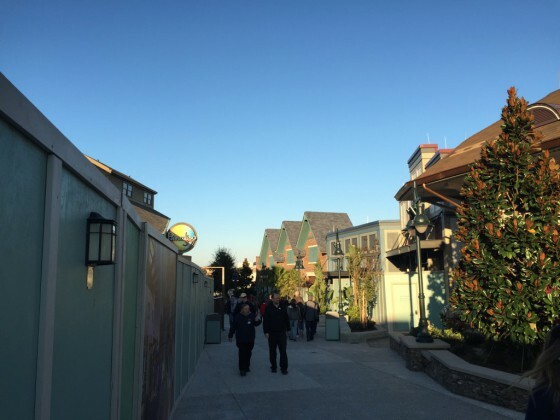 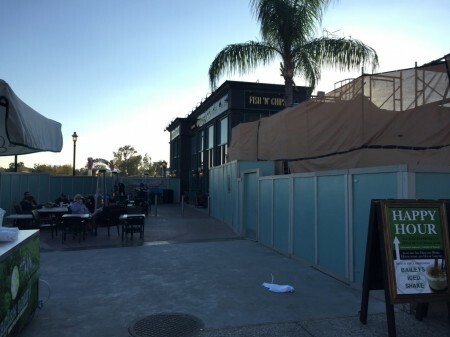 Downtown Disney/Disney Springs Update + Milestone First! 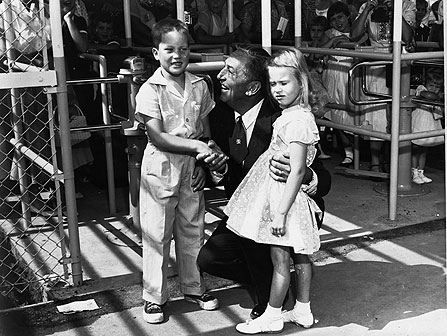 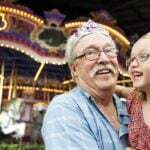 Nearly 60 years ago, on July 18th 1955 Michael Schwartner and Christine Vess were dubbed the “first visitors to Disneyland” we have all heard the stories of the lifetime passes and pomp and circumstance that goes along with being the first visitor to Disney Parks since then. 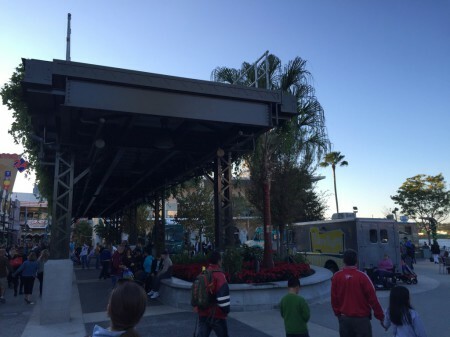 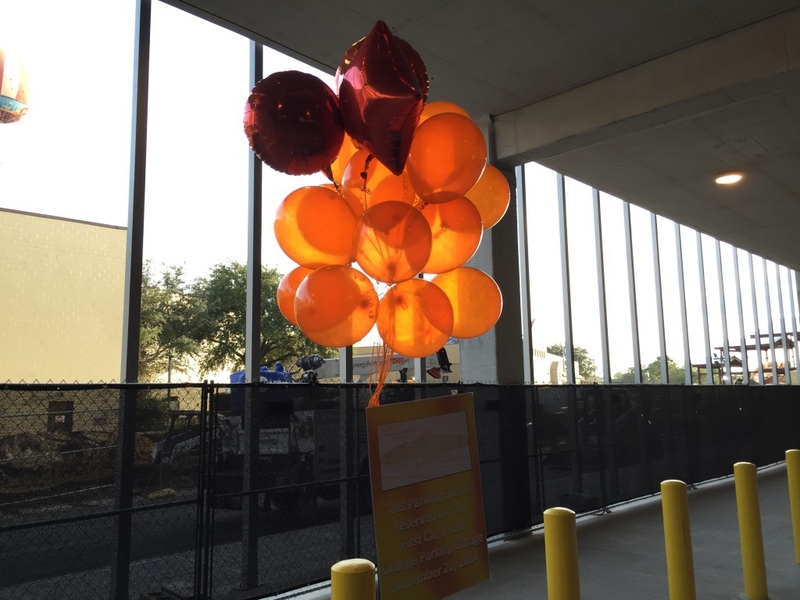 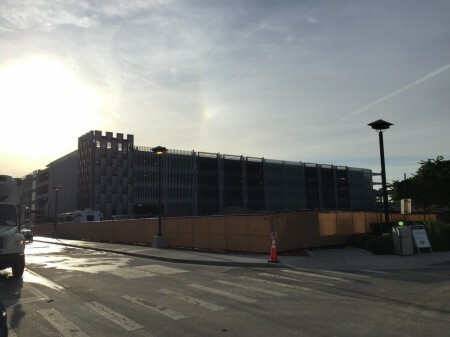 Well November 20th 2014 I can say I was a FIRST VISITOR and I did get some pomp and circumstance also… No Disney didn’t open a new park that no one knew about, they opened the first ever guest parking structure for Disney Springs! 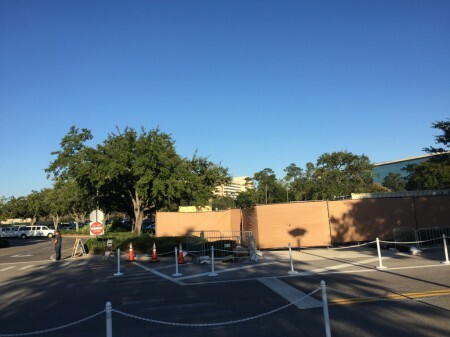 As I pulled into the parking lot and toward the Orange Structure as it is being called I was stopped by a Disney Cast Member asking where I was going and I told him “just to walk around” he directed me into the structure which I had heard might open today. To my surprise I was stopped by a manager in the drive area and had 2 other managers come at my car from both sides to tell me I was the “FIRST guest to park in the new structure” as I sat in my car they proceed to take pictures of me in my dirty car till they directed me to the spot of honor! 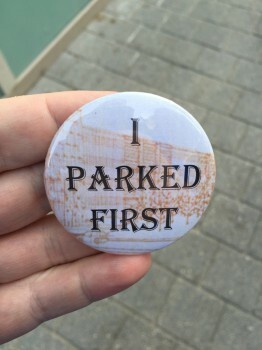 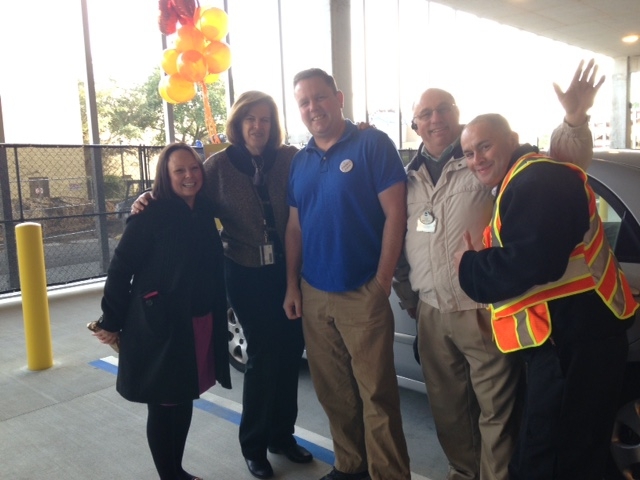 As I finally got out of my car the managers, who were all very excited, asked where I was from and what brought me to Downtown Disney today, and then presented me with a Gift Card, a special “I Parked First” button, and took a few pictures with me. 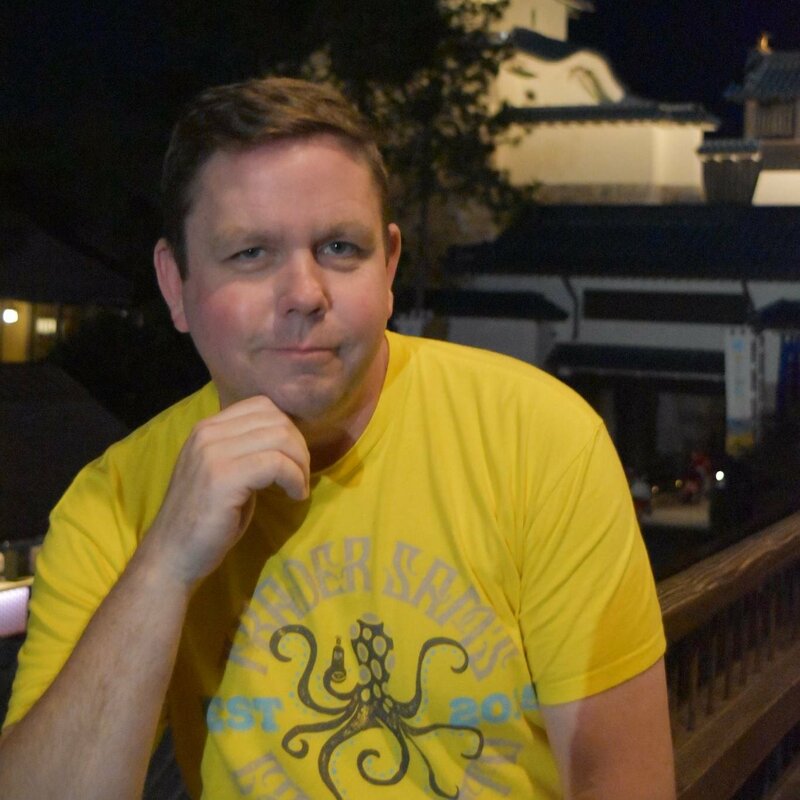 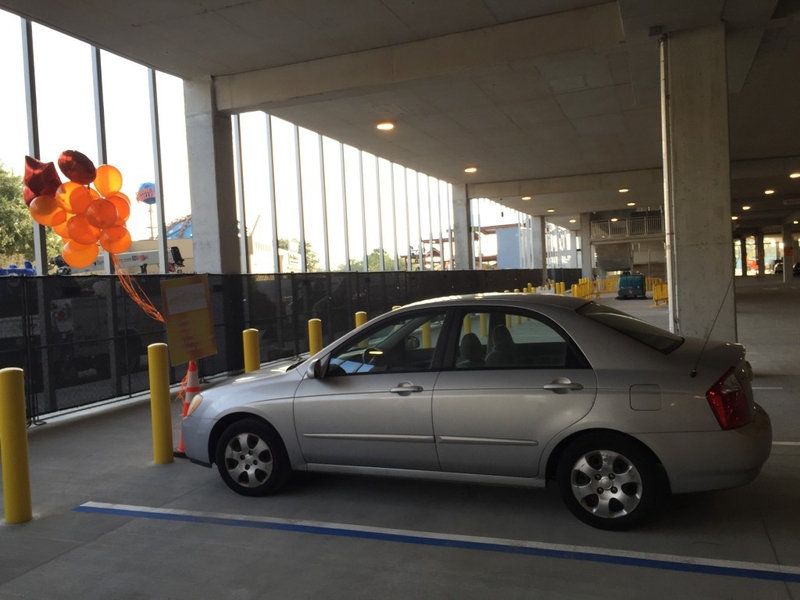 While I was sad I didn’t get a lifetime pass, well I guess I kind of did since it is free parking, I can now say I was FIRST…to park in a structure at Disney Springs! 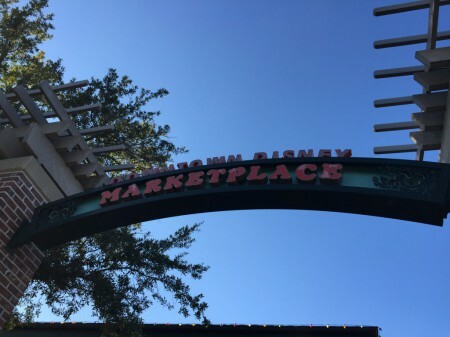 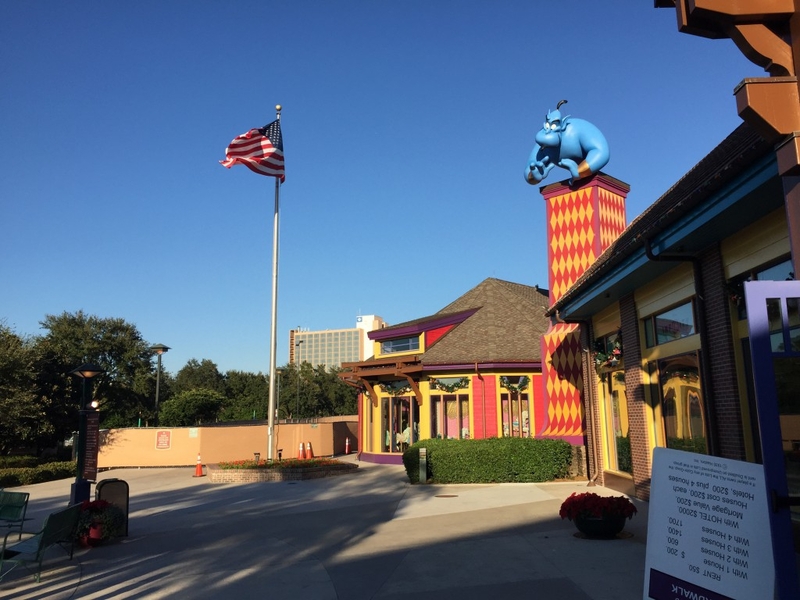 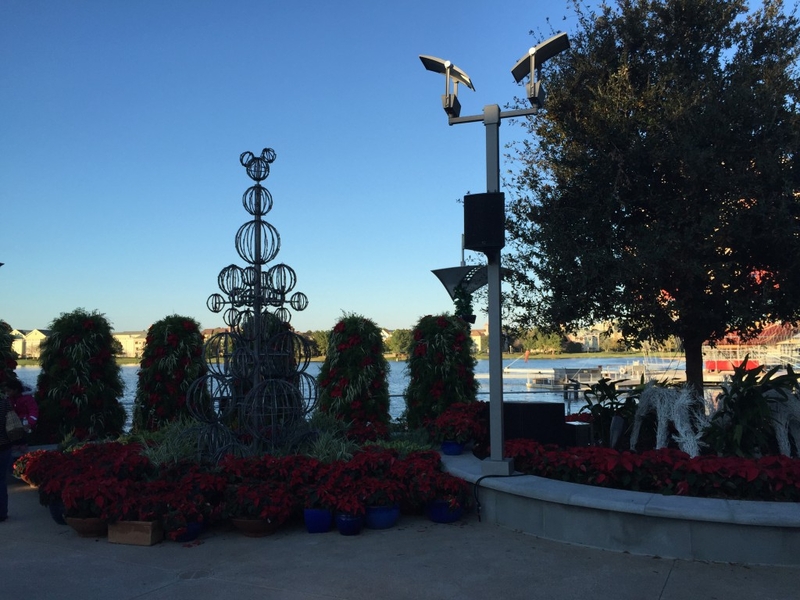 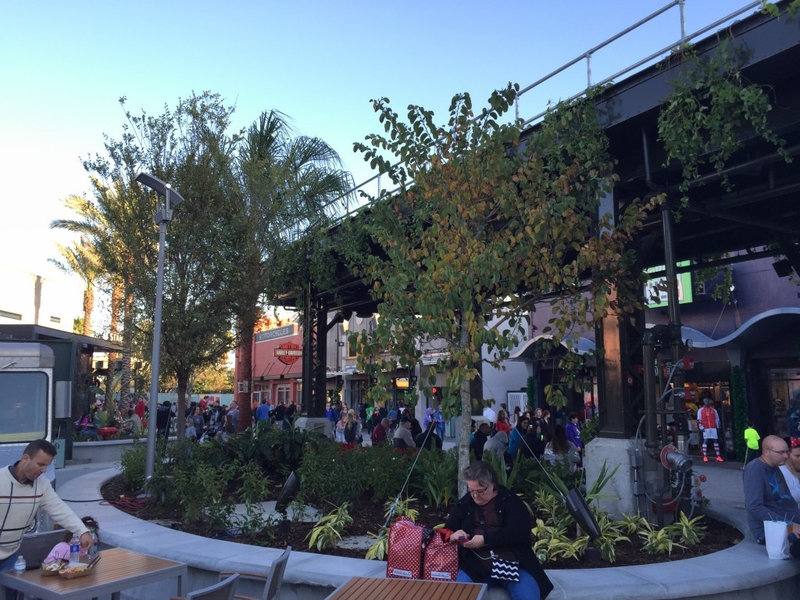 While we are on the topic of Downtown Disney/Disney Springs how about we take a look around at some of the changes that have happened for the busy Holiday Season. 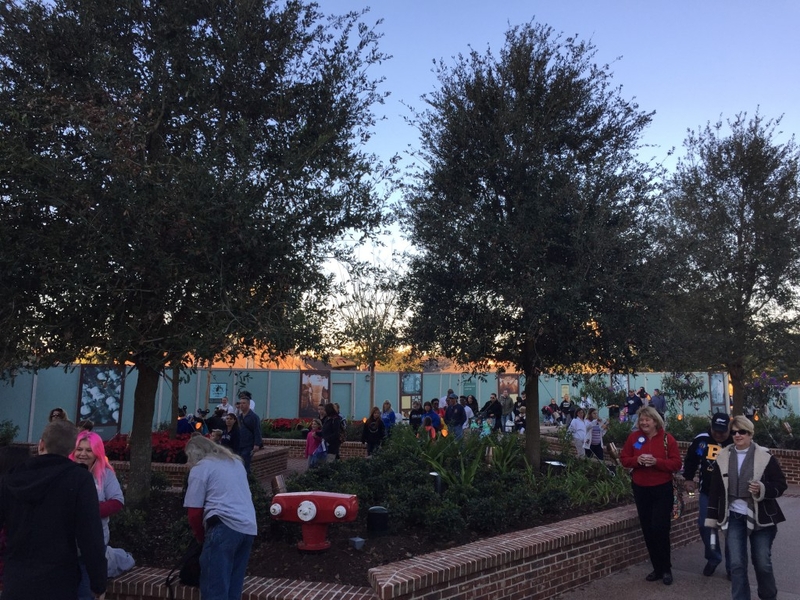 On the Marketplace side more fences have gone up in preparation of the first big project for that side, the expansion of World of Disney and removal of the parking lots. 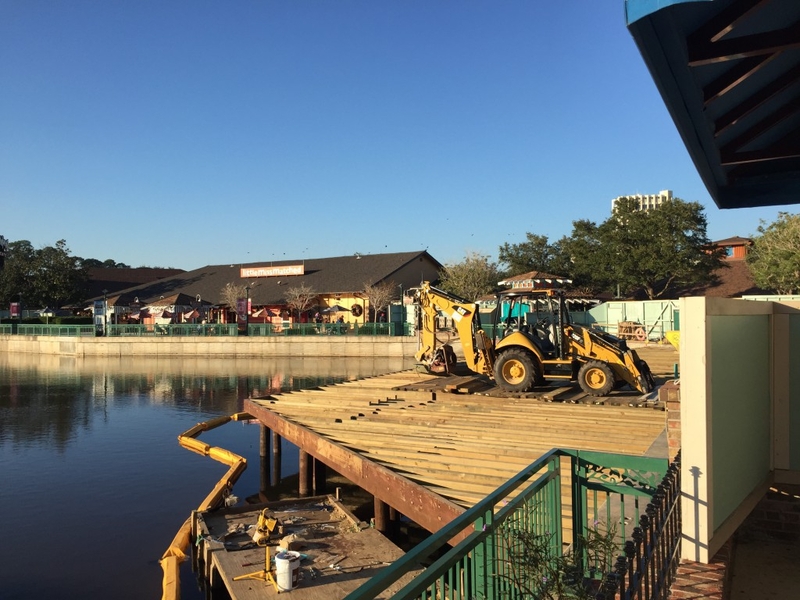 Along with work on a new deck area on the water and the removal of a few walls to open a small area with some much needed sitting area next to the Lego Store. 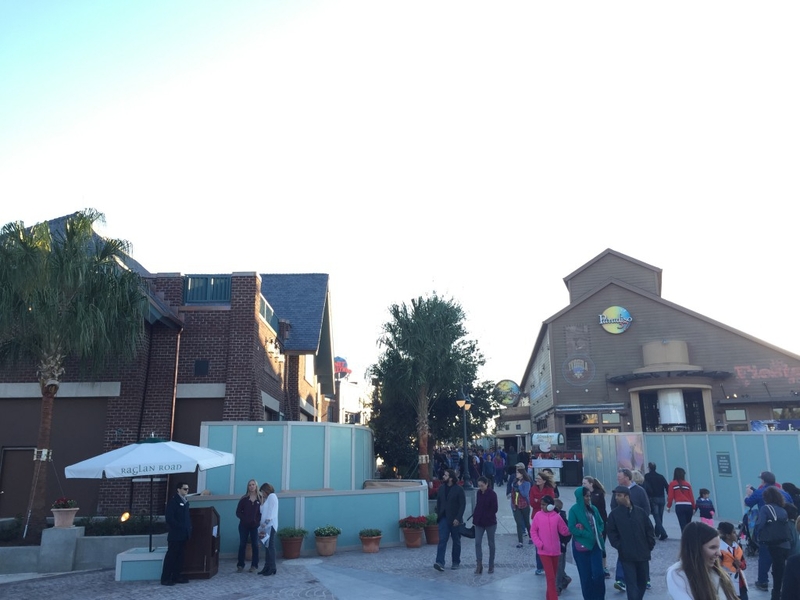 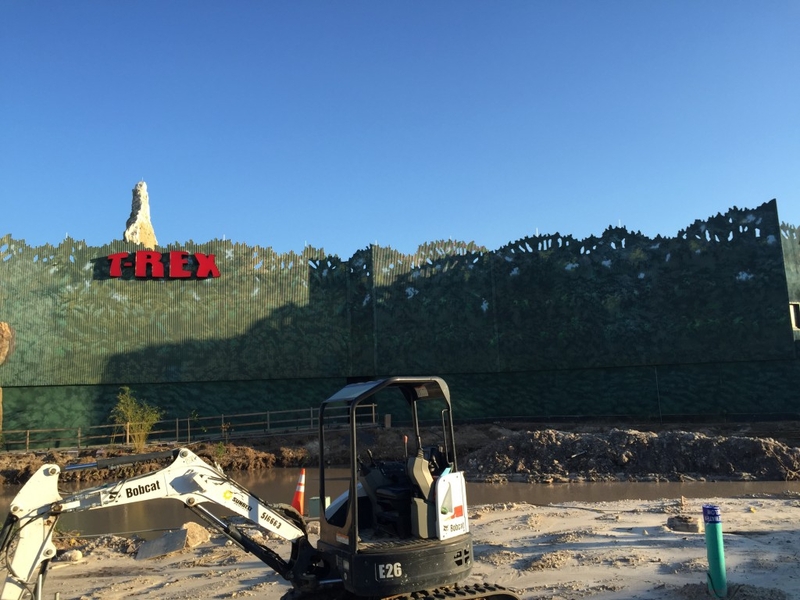 Moving on toward the former Pleasure Island area of DTD we find more removal of the former waterways with the exposure of the T-Rex building (reminds me of the Indiana Jones show building from Disneyland) and the new walk way between Raglen Road and Portobellos open. As we approach the soon to be Boathouse Restaurant we can see work is moving along quickly for that and the Hanger Restaurant right next door. For the biggest change since last update we actually start on the Westside with the Food Truck Park being open with some great space and no walls. 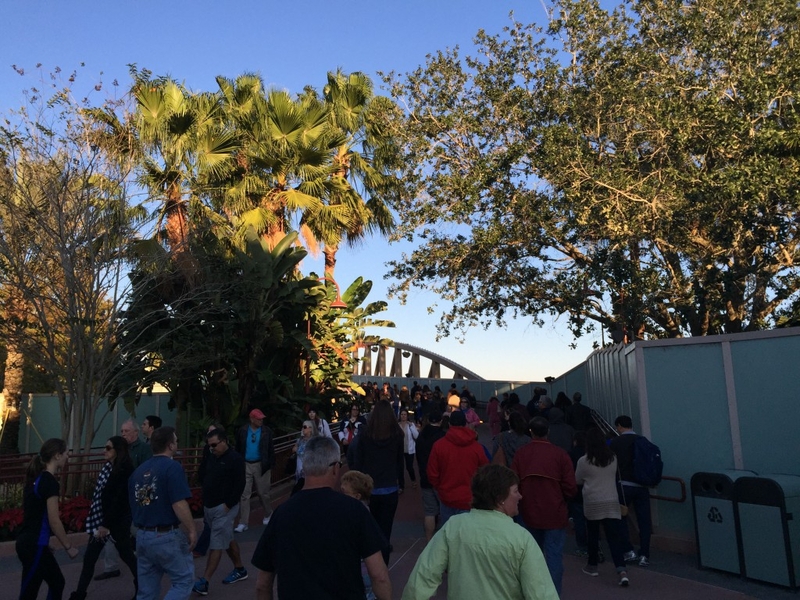 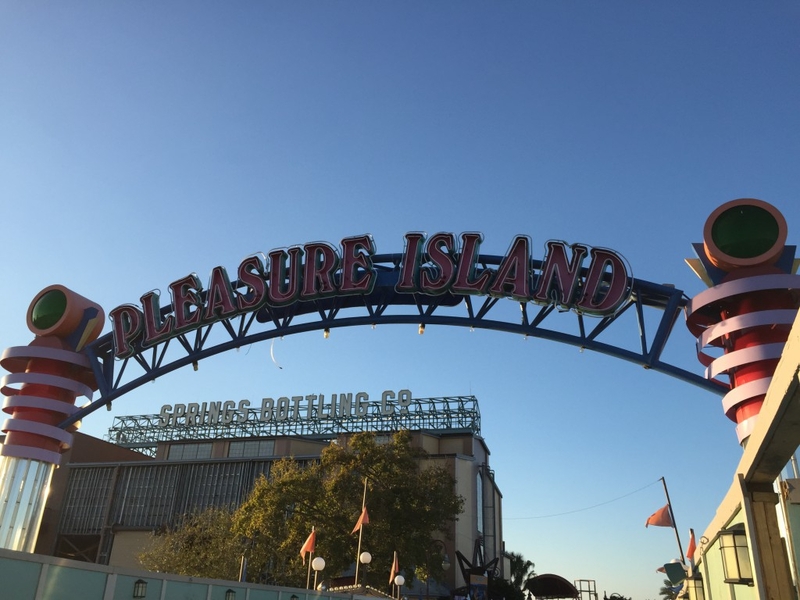 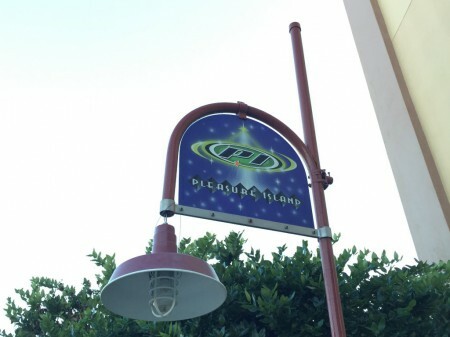 Now for the part that brings a tear to my eye, the former Pleasure Island area has now opened for a temporary time to provide a much needed walkway. 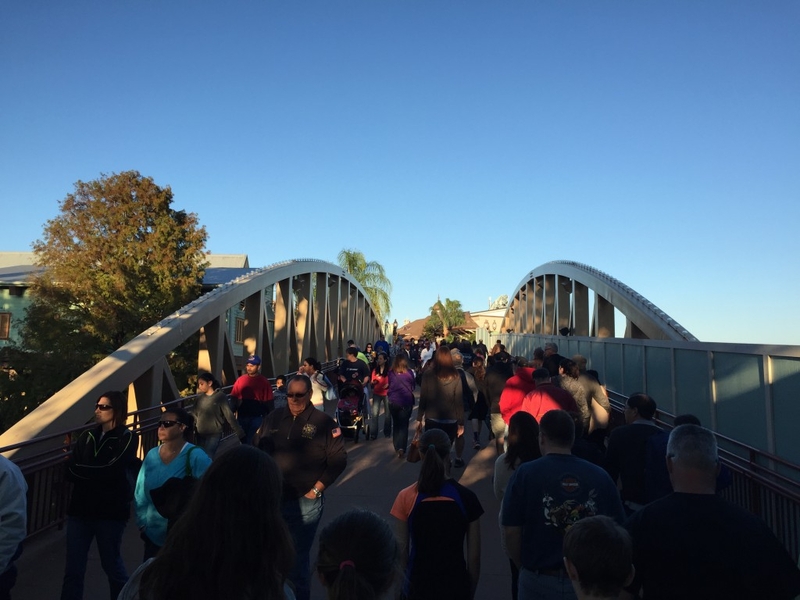 This bridge is still the same as it was. 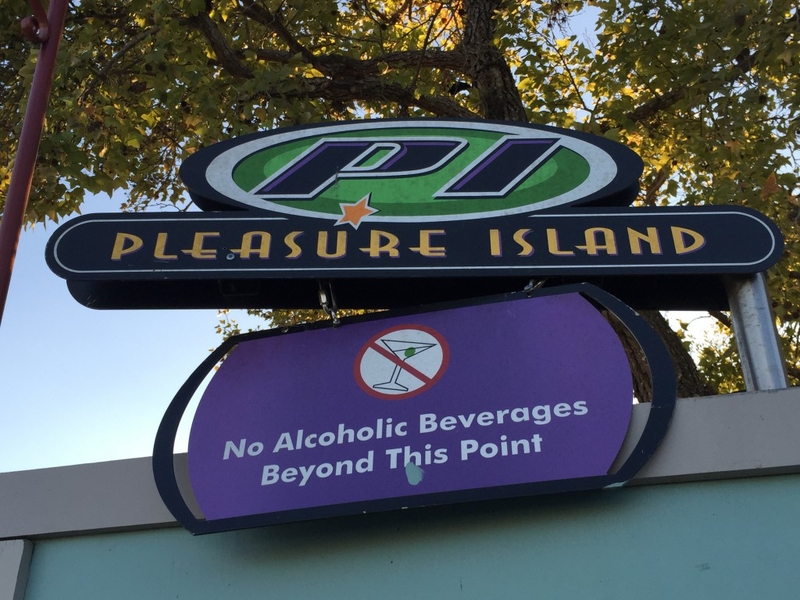 Now all that remains, for a very short time I am sure of Pleasure Island are these signs.